Linux Mint 15 has been released! 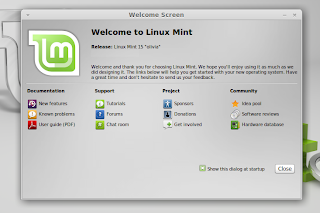 Linux Mint 15 codenamed "Olivia" has finally been released! I have been waiting for this release for a while now and finally it is here! A new driver manager tool called "MintDrivers"
I can't wait to install Linux Mint 15 and try out all the new features that it has to offer. You can download the variant Linux Mint editions from the official website! My Linux Mint 15. Configured.